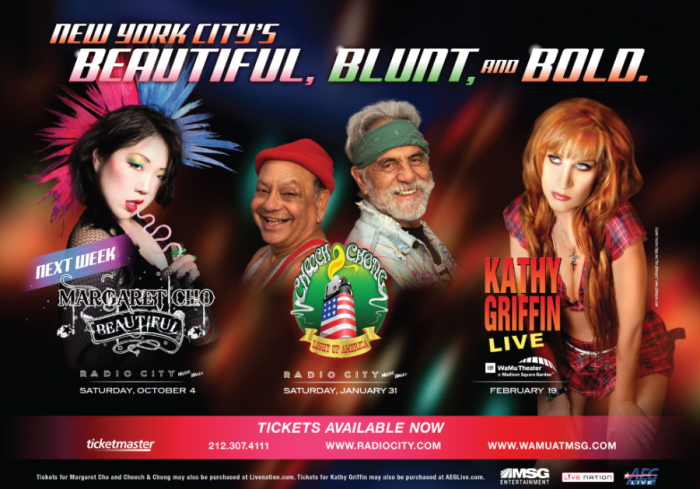 The glitterguru's image is being used in this new Madison Square Garden promoting Kathys' next appearance. The fold out ad is coming out this week! Hope you enjoy some fresh new KG pics! During a recent shoot, the glitterguru & Kathy Griffin did a spoof of the Miley Cyrus Vanity Fair Cover. Here is Kathy on Jimmy Kimmel using the shot! More hilarious photographic comedy from Kathy Griffin! Kathy and crew came out to Timbuktu Studios and we had a fantastic time! Here are some of the behind the scenes from the shoot! Tiffany Rinehart- Kathy's Assistant Extraordinare!! Photo Assistants- Tracy Chappell- Asst Supreme, Moriah Zaggaglia- Asst. Fantastic! Model- Bradley Bell- Handsome man about town! Kid Models- Merit Leighton, Marlowe Peyton, Warner Rhodes, Ethan Rhodes, Hayden Rhodes, Jillian Rhodes, Elise Estrada, Andrew Estrada, and SkyBear! Check out the new interview with yours truly at designtaxi.com click n the image above!